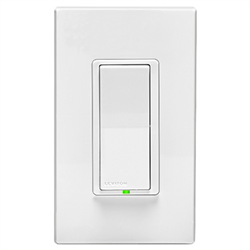 The DL15S-1BZ is a Zigbee powered in-wall on off switch for use with the Leviton Lumina RF gateway as well as other automation systems such as SmartThings. It features an intuitive rocker paddle design with top for on, bottom for off, and a dimming bar along the side. 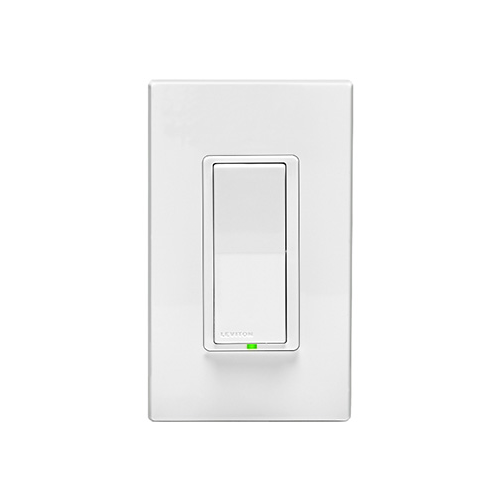 This switch supports non dimming loads including incandescent, LED, CFL, fluorescent, small motors and fans.